Home Equity Conversion Mortgages (HECM), or reverse mortgages, which are designed, administered and insured by the Federal Housing Administration (FHA), are one of the best engineered financial tools of our generation. It is designed to meet the widest possible spectrum of senior needs, from repairing the roof of their home, to paying for their grandchildren’s education, to touring the world, and to meeting expected and unexpected contingencies. The major challenge to the program is that millions of seniors whose lives would be enriched by it don’t take one, either because they don’t know about it, or increasingly because they have been frightened off by the media. In a survey of HECM borrowers by AARP in 2006, 93% said that their reverse mortgage had had a mostly positive effect on their lives, compared to 3% who said the effect was mostly negative. In addition, 93% of borrowers reported that they were satisfied with their experiences with lenders, and 95% reported that they were satisfied with their counselors. But the media focus has been almost entirely on what can go wrong, with an emphasis on issues most likely to frighten seniors: the fear of losing their home, unaffordable fees, the specter of default, and association of reverse mortgages with the sub-prime debacle. The front-page article by Jessica Silver-Greenberg in last Monday’s New York Times follows this distressingly familiar pattern. Losing the Home: The first sentence of Silver-Greenberg’s article states: “The very loans that are supposed to help seniors stay in their homes are in many cases pushing them out.” In the body of the article, two cases are cited in which the widows of seniors who had taken out HECMs were forced out of their homes. In neither case were the widows part of the HECM contract. The rules are very simple. Seniors who take out HECMs have the right to live in their homes, without repaying the HECM, until they die. The amount they can draw on the HECM is based on their age — the older they are, the more then can draw. If there are two owners, both must be covered by the HECM, and the draw amounts are based on the age of the younger one. In one of the two cases cited, the widow was too young to be eligible for the HECM, but they went ahead with it anyway. In the other, the widow was old enough but not on the deed, and the HECM was executed in her husband’s name. (In some cases, the younger spouse is taken off the deed in order to draw a larger amount.) Both widows claim that they were misled by their loan officers, and that is always possible. But the loan officers involved were not interviewed and both seniors were counseled by an independent counselor, which is required under the program. 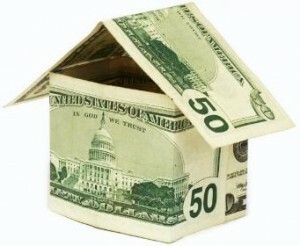 Unaffordable Fees: The article states that, “Some lenders are aggressively pitching loans to seniors who cannot afford the fees associated with them, not to mention the property taxes and maintenance.” There are no payment obligations under a HECM; all the fees incurred are financed, so the claim that fees are unaffordable makes no sense. Borrowers are required to maintain the property, and pay property taxes and homeowner’s insurance, but these are burdens of ownership that they would have whether they take out a HECM or not. High Default Rates: The article states that “the rate of default is at a record high,” leaving the reader to infer that HECM borrowers face some kind of risk that is pushing some of them to the wall, without indicating what it is. The defaults apply to property taxes, which some seniors have decided they no longer have to pay. While the FHA has the legal right to foreclose on a property on which the taxes have not been paid, the likelihood of this ever happening is very low. The default risk is being incurred by FHA rather than the borrower. In fact, the two programs could hardly be more different. Subprime loans imposed repayment obligations on borrowers, many of whom were woefully unprepared to assume them, and which tended to rise over time. The financial crisis began with the increasing inability of sub-prime borrowers to make their payments, with the result that defaults and foreclosures ballooned to unprecedented heights. Subprime foreclosures imposed heavy losses on lenders, and on investors in mortgage securities issued against subprime mortgages. In contrast, reverse mortgage borrowers have no required monthly payment to make. The obligation to make payments under a HECM is the lender’s, not the borrowers, and lender exposure to loss is very small because of FHA insurance. The major risks are borne by FHA, for which purpose it maintains a reserve account supported by insurance premiums paid by borrowers. According to New View Advisors, who are seasoned experts on HECMs, the current reserve account is adequate. Nest Eggs at Risk: The article states that “borrowers are putting their nest eggs at risk by increasingly taking out the loans at younger ages and in lump sums….” That is true, because HECMs have become a lifeline for the financially desperate who are not turned off by the negative press. While there is nothing wrong with using a HECM to meet immediate financial needs, there is something wrong with the very low utilization among seniors who aren’t desperate but who could enrich their lives and don’t. There are about 25 million homeowners 62 or older, and at least 10 million of them could significantly improve their lives by taking out a HECM. But an article on this problem would not land on page one — if it landed anywhere.